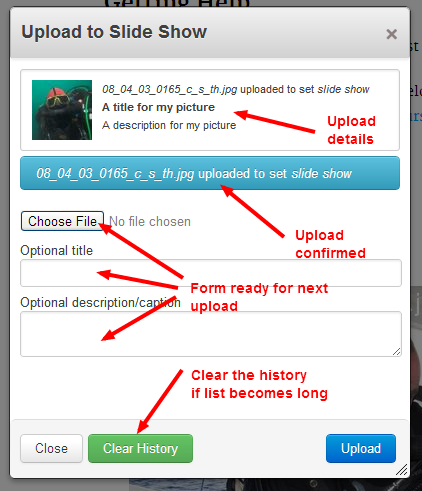 Make uploading files and images easier for your users than ever before. 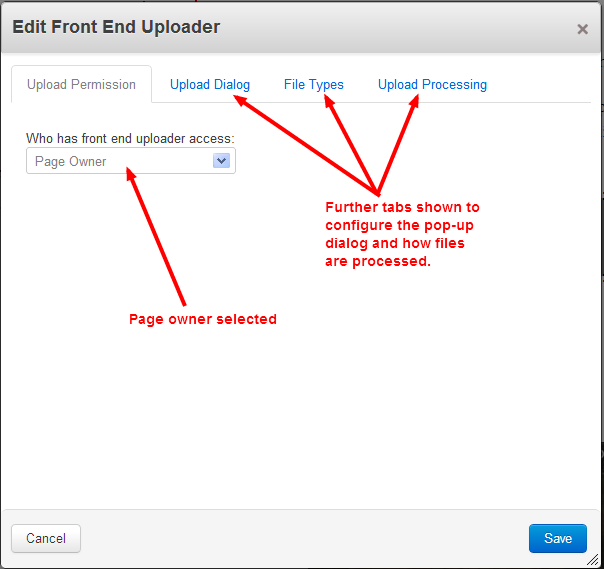 A Front End File Uploader block can be added to any page to provide a convenient pop-up AJAX uploader without having to place the page in edit mode or enter the dashboard. 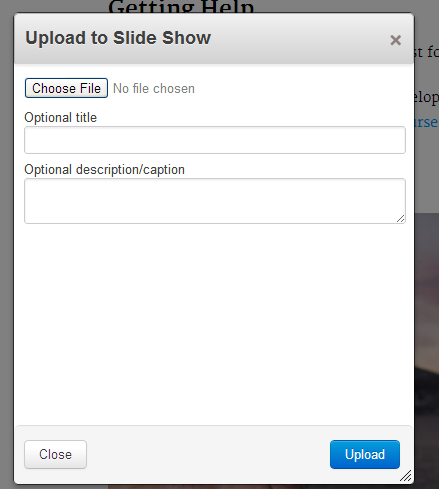 Version 2 - Now supports drag and drop uploading! 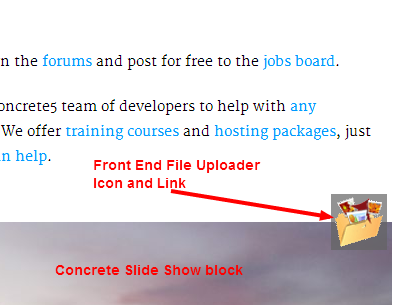 Front End File Uploader is the ideal partner to many Concrete5 slide show, image, gallery and slider blocks. 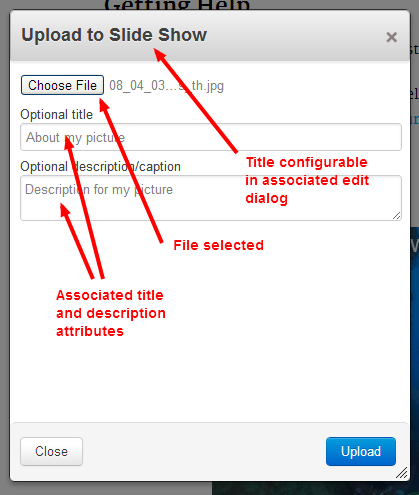 If a gallery displays a file set, you can put a Front End File Uploader next to it to upload files into the file set and consequently update the gallery. 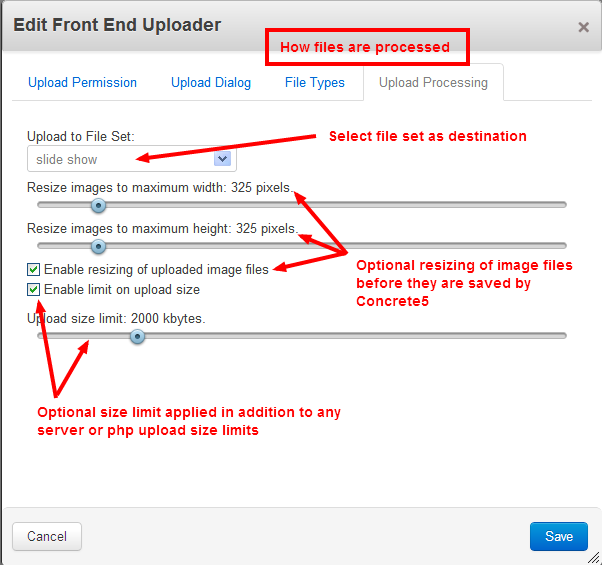 Front End File Uploader can even resize images to fit your slideshoew or gallery after the upload. As a site administrator you keep control of the edit mode of the page while allowing selected users to add images, video and other files. For a complete front end fileset management solution, Front End File Uploader integrates with Front End Fileset Tools to manage all aspects of a fileset directly from thge page without any need for File Manager access. Select which registered users have front end upload capabilities, what they can upload, where it is uploaded to and how it is resized. Users that don’t have access simply don’t see the upload icon or link. 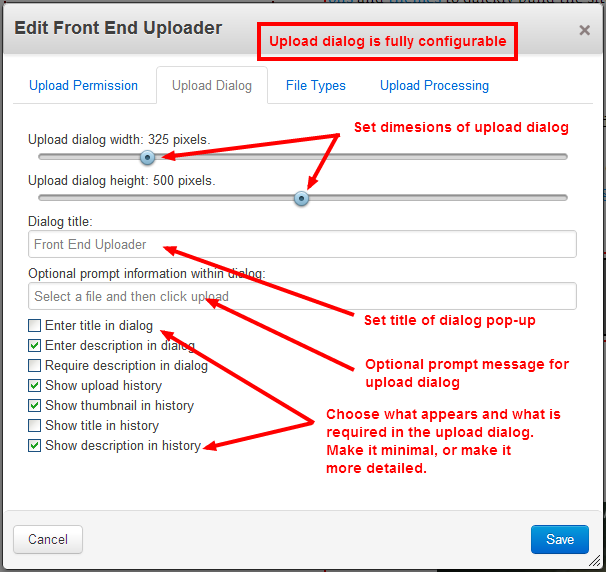 The uploader popup can be minimal or comprehensive, big or small. You can even have multiple uploaders on the same page, each configured for a different user and placed next to a different gallery block. Each user will only see their own uploader link. 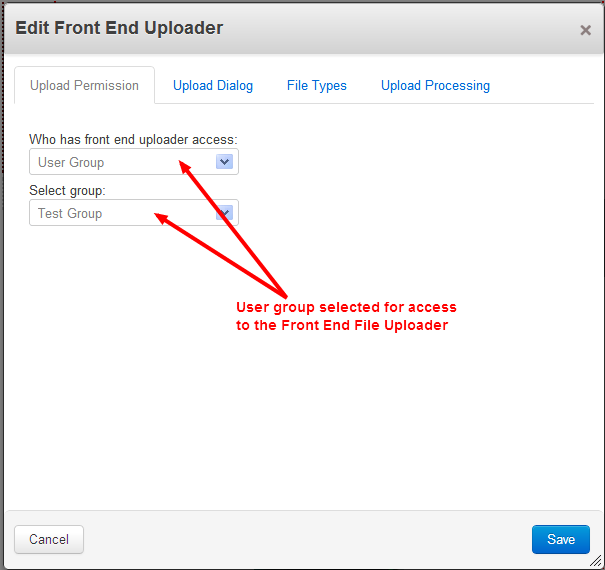 With version 2, Front End File Uploader now provides drag and drop uploading of files and optional Magic Data integration. 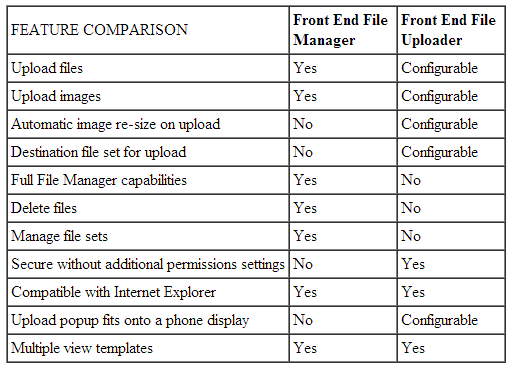 If your users also need to delete files and manage the content of a file set, have alook at the Front End File Manager addon - see the Feature comparison. You can also partner Front End File Uploader with Front End List Magic to manage the sequence of a gallery from the front end. Having trouble deciding? Take a look at the File Utilities Bundle. 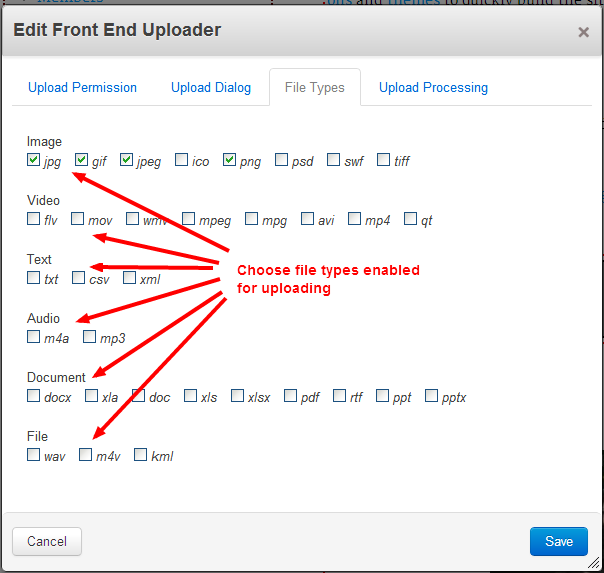 Important: While Front End File Uploader is the ideal companion for many gallery, slideshow and slider blocks, Fron End File Uploader DOES NOT include a gallery. From version 2.3 this addon is compatible with php7. To update a site to php7 you will need to make core updates (at time of writing only on github and not released). You will also need to ensure that other addon packages are php7 compatible.